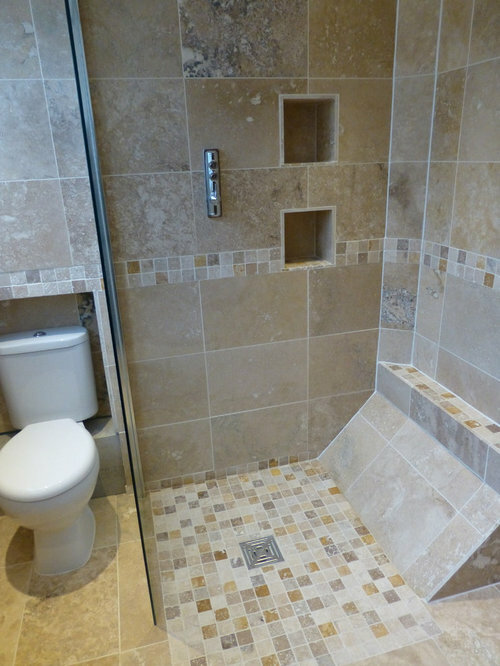 This project involved converting a standard bathroom into a wet-room to maximise the space available, including recessed toilet cistern, concealed pipework, modern heated towel rail and real stone tiles. 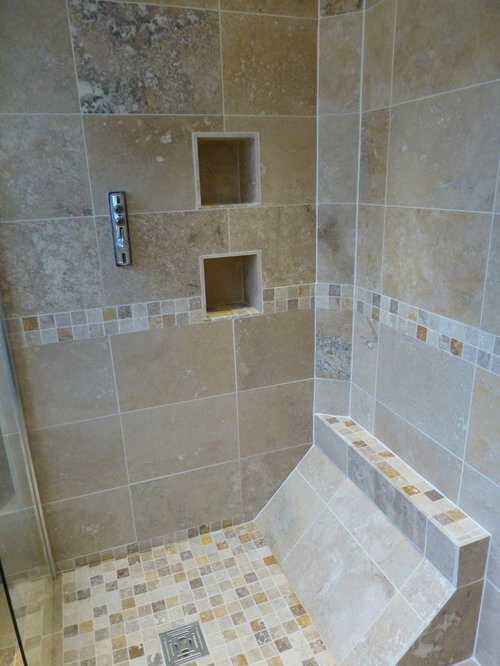 View of the shower area in the wet room, including cubby holes for shelving and real stone tiles. Recessed toilet cistern and concealed pipework to maximise space, and create a seamless look. 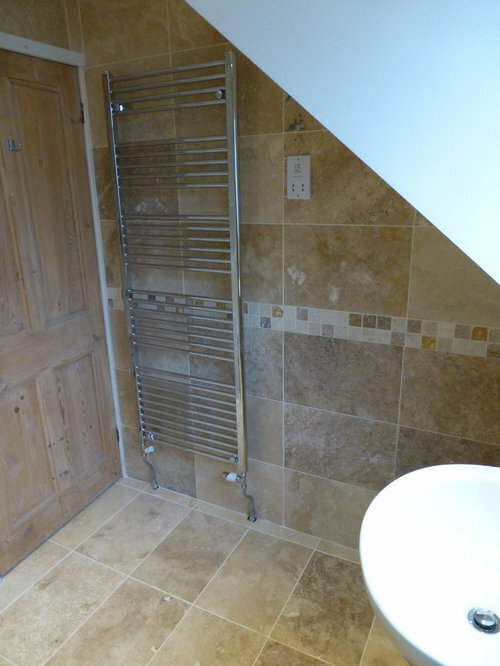 The flooring and wall tiles are real stone. 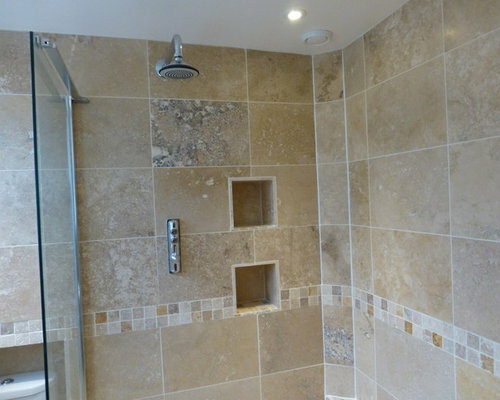 Closer view of the shower including the recessed lighting in the shower, discreet and modern extractor fan and hidden pipework. 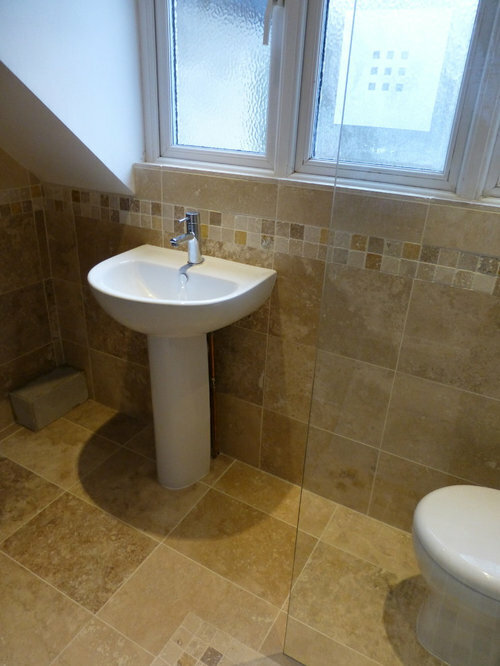 View from the shower showing the pedestal sink, with modern mono basin tap. 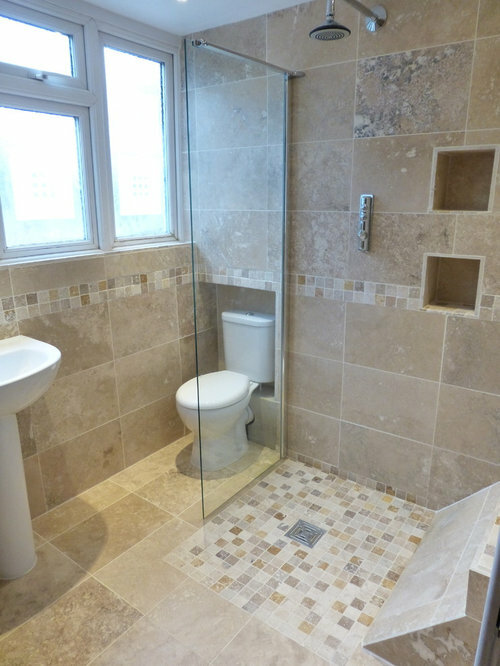 Overall view of the bathroom to show the finished result with a modern and spacious feel.